Rapport d'Enough Project The Democratic Republic of Congo is not a failed state—for everyone. It is a failure for the vast majority of Congolese who suffer from abysmal security, healthcare, and education services. However, it is an efficient state for ruling elites and their commercial partners who seek to extract or traffic resources at the expense of Congo’s development. 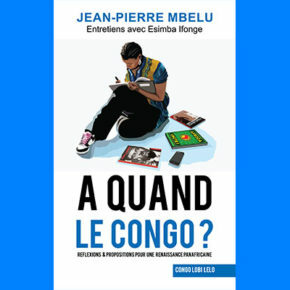 Over the past 130 years, Congo has had many elements of violent kleptocracy, a system of state capture in which ruling networks and commercial partners hijack governing institutions and maintain impunity for the purpose of resource extraction and for the security of the regime. Violence has been the systemic companion of these regimes. This study argues that President Kabila and his close associates rely in large part on theft, violence, and impunity to stay in power at the expense of the country’s development. 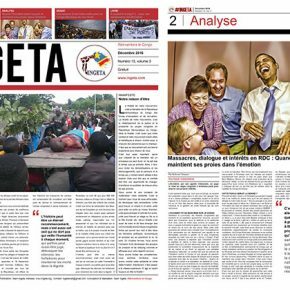 If international policymakers are to have a real impact in helping Congolese reformers actually reform the system, they need to shift the lens through which they view the conflict. Seven “Pillars” of Violent Kleptocracy Let the security forces pay themselves. Mobutu said, “You have guns, you don’t need a salary.” In order to prevent being overthrown by force, the regime allows army commanders to become wealthy by exploiting resources and citizens, thus fueling cycles of conflict. Stay in power, or possibly lose everything. Leaving office can mean that regime connected elites lose their ill-gotten gains and immunity from prosecution. Pro-democracy movements are thus repressed, often violently, as they are threats to the corrupt system. Ensure there is little to no accountability for regime-connected elites. Impunity is the glue that holds the system together. Judicial systems target regime opponents or low-level figures, not high-level perpetrators of corruption or human rights abuses. Create parallel state structures and co-opt rebel groups to weaken political threats. Parallel chains of command are set up to ensure loyalty; rebels are brought into the army without vetting or real integration. The bloated army then commits abuses and collaborates with armed groups. Ensure that high-level officials benefit from corruption. If appointed to a military post or government office, the official is expected to pass payments up the chain. This system, “rapportage,” has led the real tax burden for Congolese citizens to be around 55 percent. Personally profit from natural resource deals, underspend on services, and hijack reforms. The regime receives bribes from certain outsiders to sell resources at very low prices, then outsiders flip them for large profits, depriving the Congolese state of massive revenue. Transparency reforms such as the Extractive Industries Transparency Initiative (EITI) help a bit, but the main vehicles for corruption—state-owned companies and their foreign shell company partners—remain opaque. The government deliberately underspends on public services, as its focus is on patronage. Confuse everyone by creating uncertainty on policies in order to increase corruption. The government creates institutions that contradict its own laws or policies, and state agencies impose and collect their own taxes, which increases predation. Télécharger le rapport.